I know Halloween just passed, but I couldn't resist sharing my halloween night look since it turned out better than I expected and I surprisingly got quite a few compliments on it! I went to Party City last minute (like literally 2 hours before I had to go out), and just about everything good was sold out! I wanted to create a zombie victim look but I was clearly too late in buying supplies. 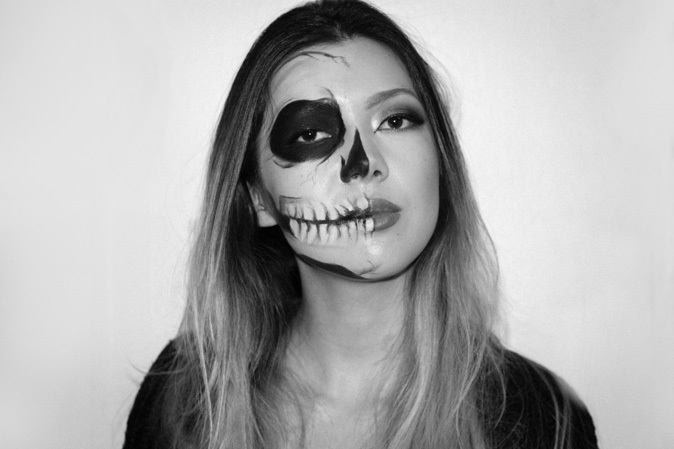 So I stuck to what I know and looked up some 'half-skull' looks. I found a few and decided to recreate them using whatever I had in my makeup kit. It turns out this is not the first last minute half face I've done! 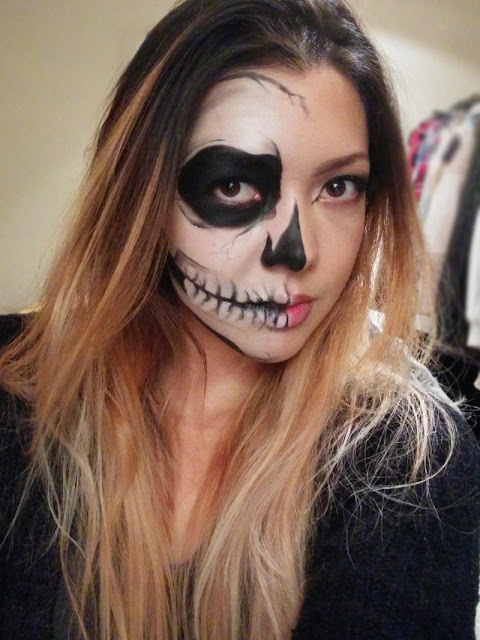 Check out my half sugar-skull done 2 years ago. With this look I ended up going downtown to meet a few people and ended up going to a small bar. What did you do for Halloween and what was your costume if you celebrated?